Install the band with nut. 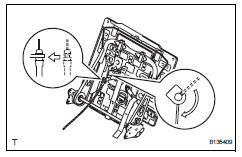 After installing the band, feed it through the seatback frame hole towards the rear of the vehicle. 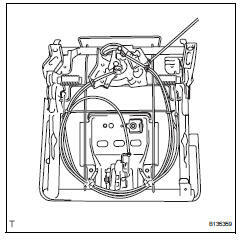 Install the cable to the seatback frame as shown in the illustration. Attach the 2 claws to install the inner cover. 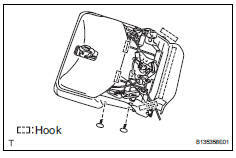 When installing the hog rings, avoid wrinkling the cover. 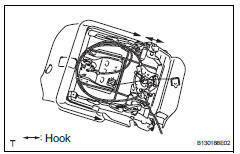 Using hog ring pliers, install the seatback cover to the seatback pad with 3 new hog rings. 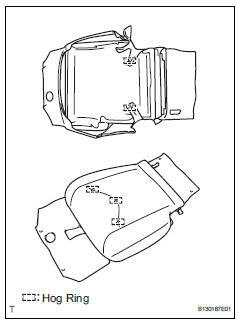 Install the seatback cover (with pad) to the seatback frame. 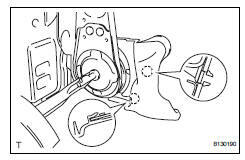 Attach the 4 claws to install the 2 headrest supports. Using hog ring pliers, install 19 new hog rings. Pass the 2 release bands through the 2 holes in the seatback board carpet. 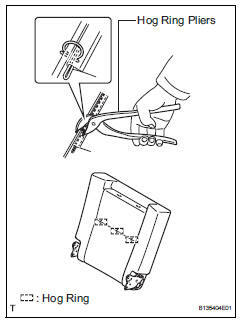 Attach the 9 clips to install the carpet. Make sure that the release band is not inside the seatback board carpet. Pass the 2 release bands through the 2 holes in the 2 bezels. Attach the 2 claws to install the 2 bezels. 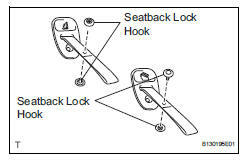 Install the 4 seatback lock hooks. 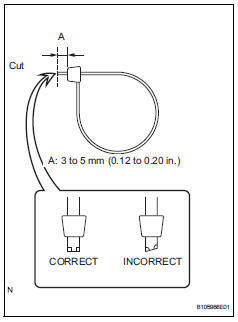 Install the wire with the nut. 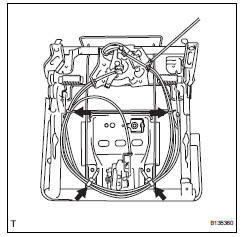 Install the 5 cables to the seat cushion spring as shown in the illustration. 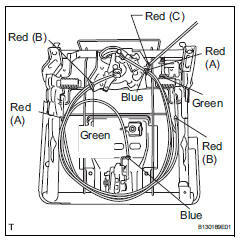 Clamp the cables to the seat cushion spring with 4 new cable ties as shown in the illustration. 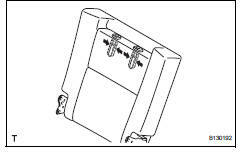 Cut off the 2 cable ties, as shown in the illustration. 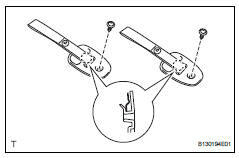 Attach the 2 clamps of the cable tie to the seat cushion spring. 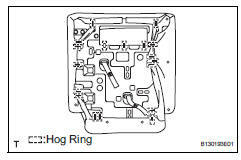 Using hog ring pliers, install the seat cushion cover to the seat cushion pad with 5 new hog rings. 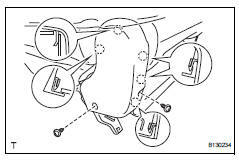 Attach the hooks and install the seat cushion cover (with pad) to the seat cushion spring. 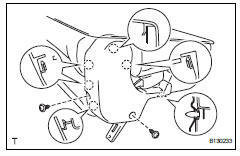 Install the seat cushion to the seatback with the 4 bolts. 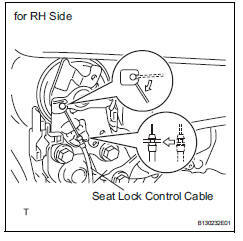 Connect the seat lock control cable of the rh side to the seatback as shown in the illustration. 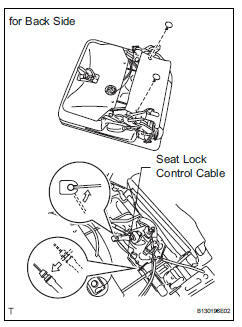 Connect the seat lock control cable of the back side to the seat cushion as shown in the illustration. 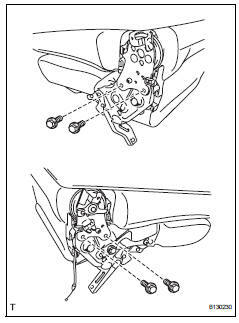 Close the seat cushion cover and install the 2 clips. Attach the 5 claws to install the cover. Attach the clip and 5 claws to install the cover.